Dunifon’s research examines child and family policy, focusing on the ways in which public policies and family environments influence children’s development. With funding from the William T. Grant Foundation, she has examined the role of grandparents in the lives of youth, with a particular focus on children being raised by their grandparents. 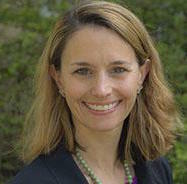 With funding from the National Institutes of Health, she has examined how maternal employment conditions, such as night shift work or frequent job transitions, influence children. Rachel Dunifon quoted on effects of parental addiction on children, "The Latest in Health: Battling Opioid Epidemic by Fighting Fake Meds, Treating Struggling Families" WRVO Public Media, April 22, 2018. "Better for Baby? The Retreat from Mid-Pregnancy Marriage and Implications for Parenting and Child Well-Being" (with Jessica Su and Sharon Sassler). Demography 52, no. 4 (2015): 1167-1194. Examines whether “shotgun marriage”, referred to here as mid-pregnancy marriage, improves the well-being of children born in those marriages. Argues that such marriages are not associated with child well-being, although they do predict slight improvements in parenting behavior. "Grandparental Co-Residence and Family Well-Being: Implications for Research and Policy" (with Kathleen Ziol-Guest and Kimberly Kopko). The Annals of the American Academy of Political and Social Science 654 (2014): 110-126. Highlights trends and characteristics of families in which children live with their grandparents, focusing on two types of living arrangements: three-generational households consisting of a child, that child’s parents, and that child’s grandparents; and custodial grandparent households, in which children are being raised by a grandparent with no parent present. "Mothers’ Night Work and Children’s Behavior Problems" (with Ariel Kalil, Danielle Crosby, and Jessica Su). Developmental Psychology 49, no. 10 (2013): 1874-1885. Presents a connection between one common but understudied aspect of maternal employment—night shift work—to children’s behavior problems. Suggests that night shift work is associated with an increase in behavior problems, whereas other types of nonstandard work (evening or weekend work, for example) are not. "Employment Patterns of Less-Skilled Workers: Links to Children’s Behavior and Academic Progress" (with Rucker Johnson and Ariel Kalil). Demography 49, no. 2 (2012): 747-772. Examines data spanning 5 years on a sample of children whose mothers are transitioning from welfare to work. Discusses how conditions common to the low-wage labor market are linked to child well-being. Shows that job instability and long work hours are associated with poorer outcomes for children; long work hours are only linked to worse outcomes when they occur in jobs that do not require advanced cognitive skills. "Maternal Employment, Work Schedules, and Children’s Body Mass Index" (with Taryn Morrissey and Ariel Kalil). Child Development 82, no. 1 (2011): 66-81. Examines linkages between maternal employment and children’s Body Mass Index, a measure of weight-for-height that is a key marker for child obesity. Results show that an increase in the total amount of time mothers are employed is associated with an increase in children’s BMI. Argues that this association is particularly strong in the middle school period.